The Duchess of Sussex is seeing friends before she has her baby, a source said. Meghan Markle, the Duchess of Sussex, made a surprise trip to New York City as she prepares for the birth of her first child. Meghan, who is due this spring, traveled to New York on a personal trip to see friends before she has her baby. She will also be the guest of honor Tuesday at a private baby shower for 15 guests, according to ABC News royal contributor Omid Scobie. The Sunday Times of London reports the division will happen within weeks. "Today's baby shower is a reunion of sorts for Meghan," Scobie told "Good Morning America." "[Guests] include best pal Jessica Mulroney, actress and close pal Abigail Spencer has flown in and Priyanka Chopra is supposed to be flying in especially for this from London Fashion Week." "It'll be a celebration with her closest friends," he added. The Duchess of Sussex left London on Feb. 15 for her five-night trip to New York and is staying in a five-star hotel, according to Scobie. She was spotted in the city wearing a dark overcoat and a newsboy cap. (Tolga Akmen/AFP/Getty Images) Meghan, Duchess of Sussex presents the Celebrating Excellence Award to Nathan Forster, a former soldier of the Army's Parachute Regiment, at the annual Endeavour Fund Awards in London, Feb. 7, 2019. Over the weekend Meghan visited the famous Ladurée bakery in SOHO for macarons and tea with Mulroney. 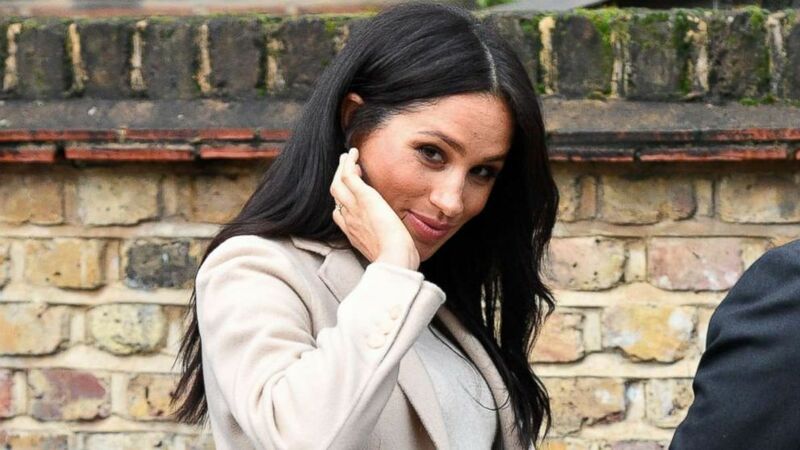 "The trip was planned some months ago and, with [with an official trip to] Morroco this weekend, is the last available time Meghan can travel before the Baby Sussex is born," Scobie said. "Over the weekend she has been catching up with some of her closest friends, visiting favorite spots in the city and even shopping for baby clothes." 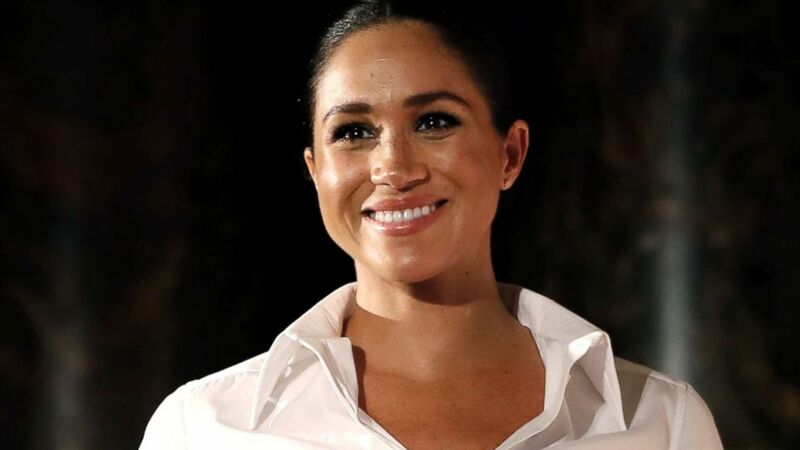 Meghan a California native, fit the trip across the pond into a packed schedule of official engagements as she counts down her final weeks of pregnancy. She told a well-wisher last month that she is due in April. Meghan and Prince Harry, the Duke and Duchess of Sussex, attended the gala performance of “The Wider Earth” at the Natural History Museum in London on Feb. 12. Just a few days before, on Feb. 7, the couple walked the red carpet at the Endeavour Fund Awards. She and Harry are scheduled to travel to Morocco this weekend for an official visit on behalf of the British government. News of Meghan's private trip to New York City came just one day after the Sunday Times of London reported that Prince Harry and Prince William will split their royal household within weeks. Harry and Meghan are expected to move soon to Frogmore Cottage on the grounds of Windsor Estate, about 30 miles from London. The move means Harry and Meghan will no longer be neighbors to Prince William and Kate, who live in Apartment 1A at Kensington Palace.